Television in 2013 again produced some real high points. If you wish it call it a 'golden era' then I'm all for that description. 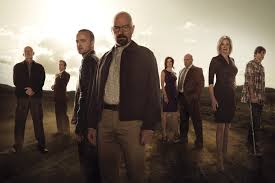 It was the final season of Breaking Bad and what a finale it was. A near perfect series ended with intelligence and the usual amount of tension. Mad Men, despite what a few may have said, maintained its high standards. 2013 was the year we finally got into Game Of Thrones. We watched all 3 seasons in a binge. It's quite addictive. Homeland I think jumped the shark. I watched season 3 but it wasn't the show of old. Ray Donovan and House of Cards were two new shows I really enjoyed. And Ricky Gervais returned to form with Derek. So yes, 2013 was an especially good year.